It's no secret that our teachers go above and beyond for our kids. Would you like to show them you appreciation? Nominate your favorite teacher for the chance to win a $3,000 home improvement gift certificate. 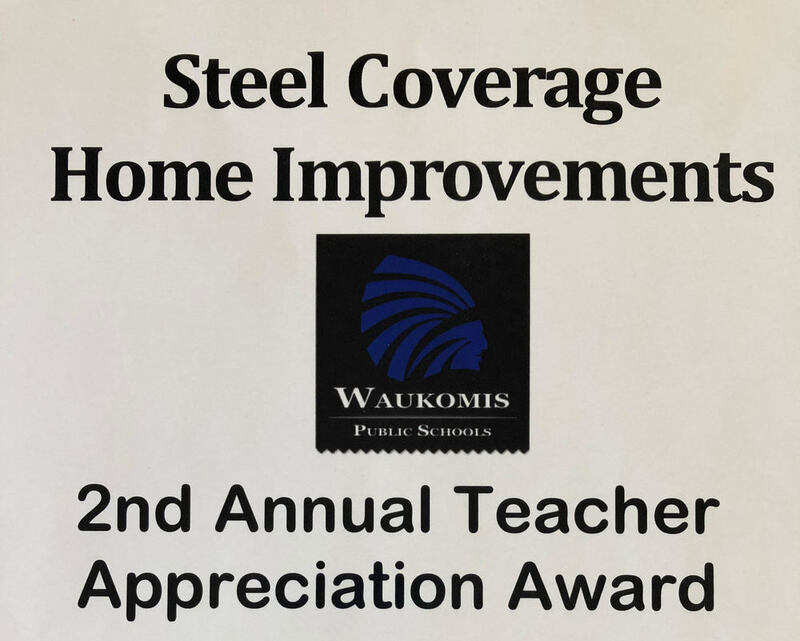 Please go to our website; check it out, and fill out the form on the teacher appreciation page at www.steelcoverage.net. Make sure your entry is made no later than 5.4.18. We will announce the winner at the year end awards assembly, with their gift certificate, and copy of your submission.